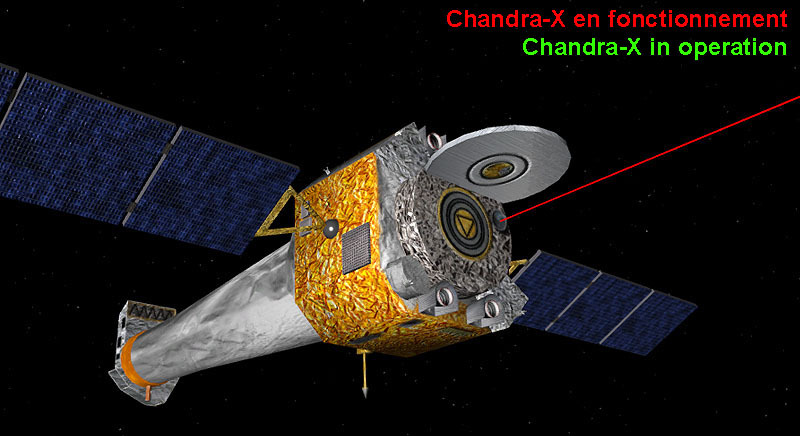 CHANDRA-X is an X-ray space telescope developed by the NASA. 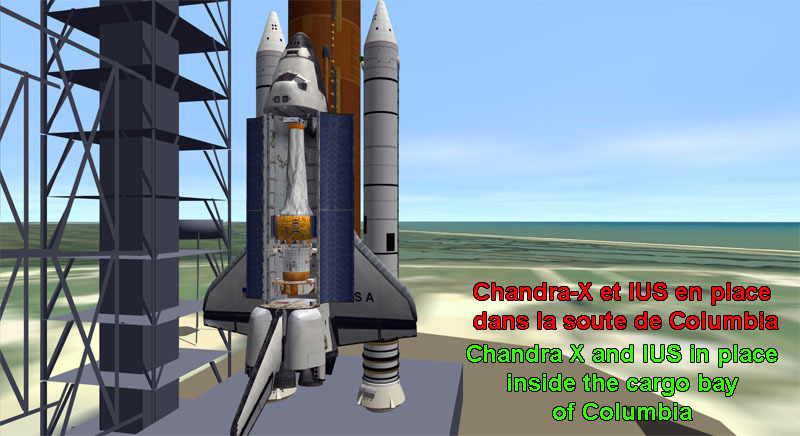 It was launched in 1999 with the Space Shuttle Columbia during STS-93 mission. 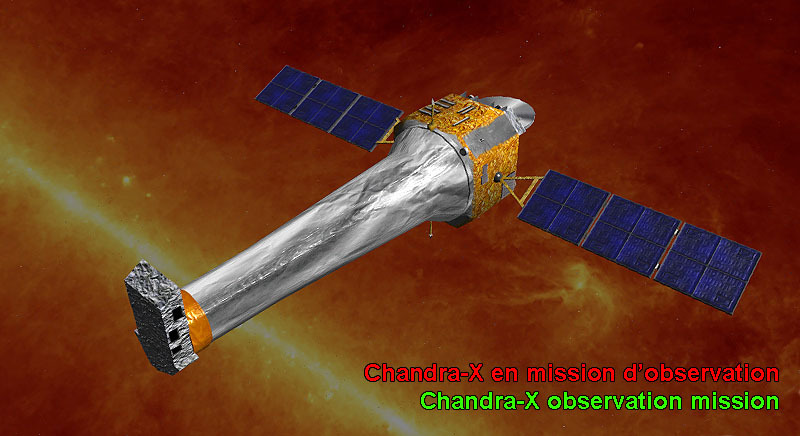 CHANDRA is one of the two most efficient X-ray observatories put into the space. 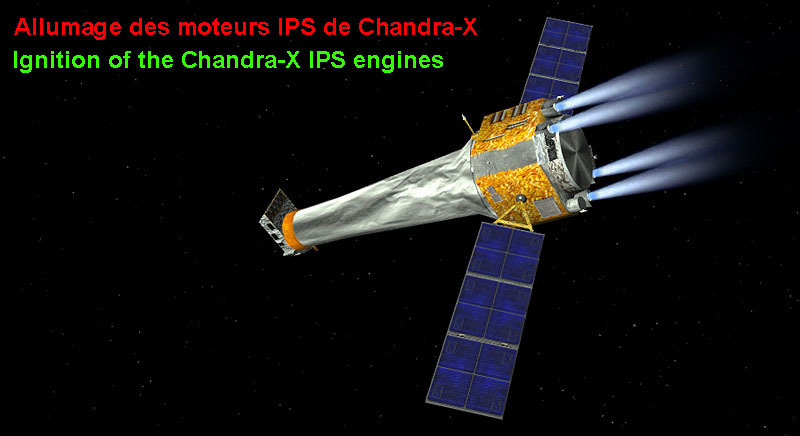 In 2014, 15 years after its launch, CHANDRA is still operational. 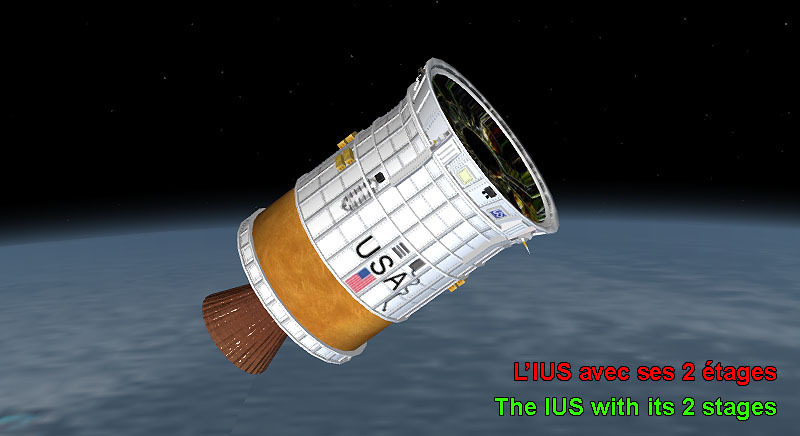 The Inertial Upper Stage or IUS is an upper stage rocket that was developed for the requirements of satellite launchings with the American Space Shuttle. 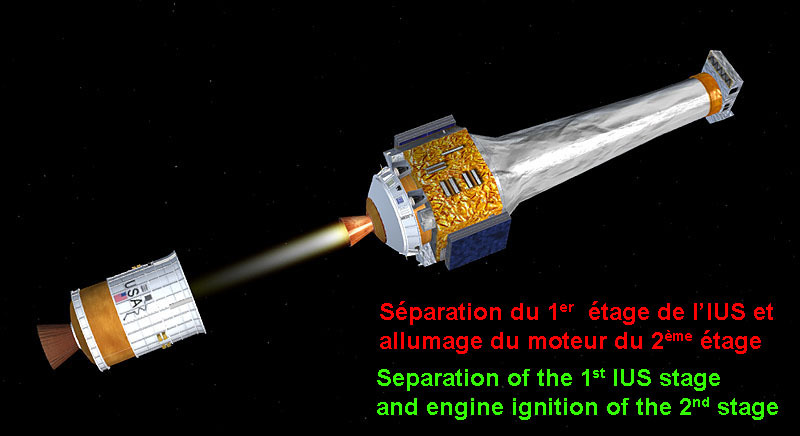 It consists of two stages using a solid propergol . 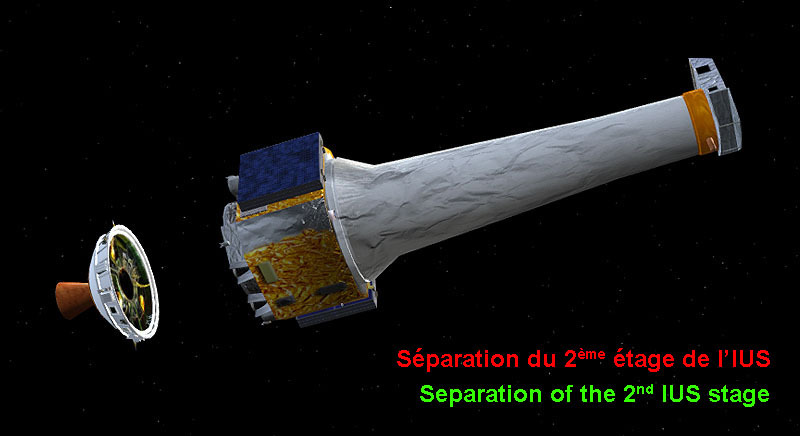 It has been used on 15 occasions with the Shuttle from 1983 to 1999 for launching many satellites and THE Space Telescope Chandra-X. Installation : Simply unzip the zip file into the root folder of your Orbiter. 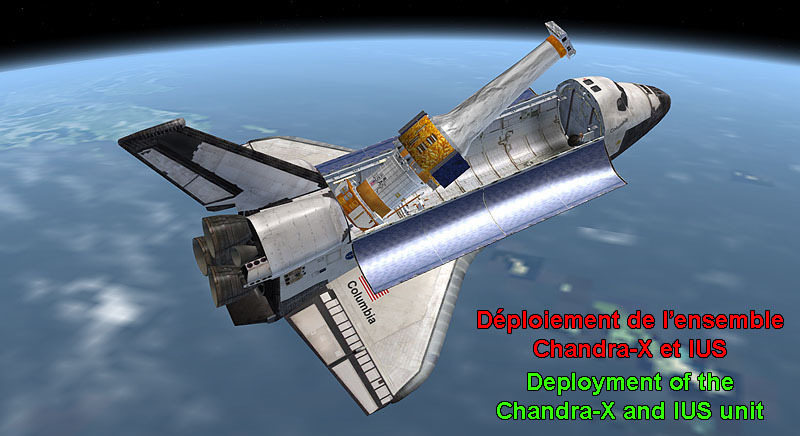 Some additional add-ons may be installed. Please, reed the documentation for that. 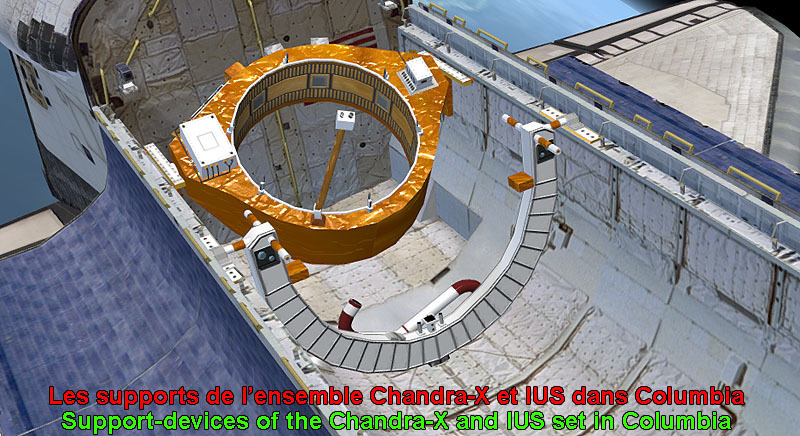 Please read all the documentation that is very interesting and full of lovely images. 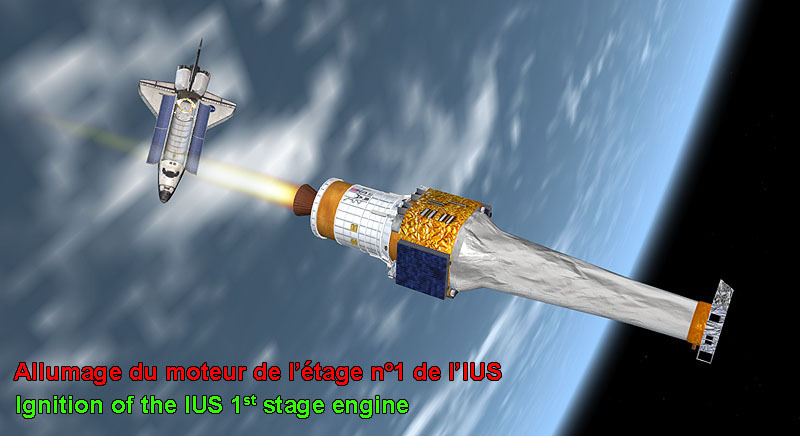 There is also a "flight plan" to allow you to accomplish the mission quite easily. We welcome your comments, criticisms, congratulations, karmas and lashes.